Hair, Hair, Hair. It's summer time ladies and ...gents. And Summer is finally here which means for me I am braiding up my virgin, thick, natural black hair and buying someone elses to weave into my own. Ha! It sounds horrible I know but, it's a summer thing for me. Now this is not to say I can't whip my hair back and forth with my own hair but, heck I like weaves and braids especially for the summer and extensions are just convenient to have. An extension of me to express my beautification and style. :) Plus, I am ready to hang out at somebody's pool and go the beach. So. 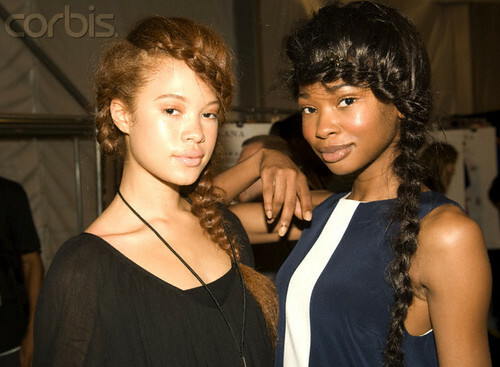 upon my many findings of hairstyles I started to notice this new phenomenal trend: The 'Amazing' Braid. 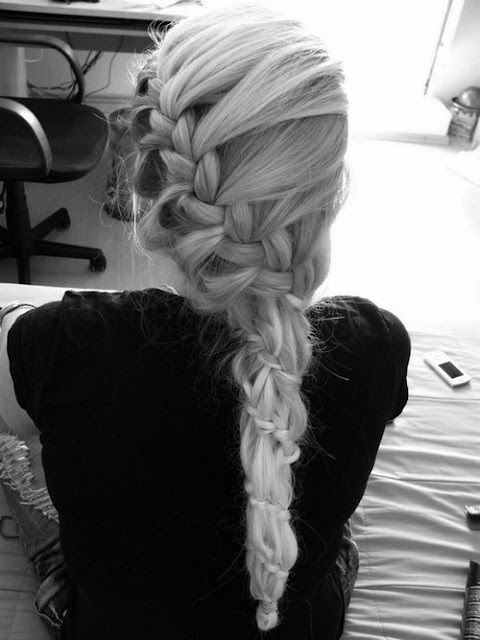 Although not highly recommend when your driving but, I think you get the point of the wrap around braid. 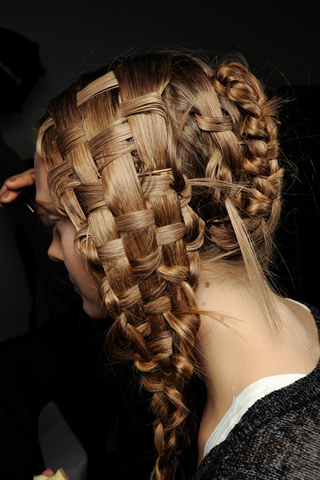 When I think about the braid Alexander McQueen comes to mind. The Spring 2011 collection of A. McQueen designed by Sara Burton was absolutely breathtaking. When I was looking at some the close-ups of the beauty shots. The hair...Wow. Insane in a good way! Of course this is the extreme variation of a braid but, extreme can be good for a showing especially when representing a Genius brand. Long Live McQueen! To see more of what inspires me make sure you check out my tumblr blog: Inside the Imagination and Visionary Mind of Robin. I love them!especially the last one! Now Playing (On Repeat): Jill Scott "So In Love"